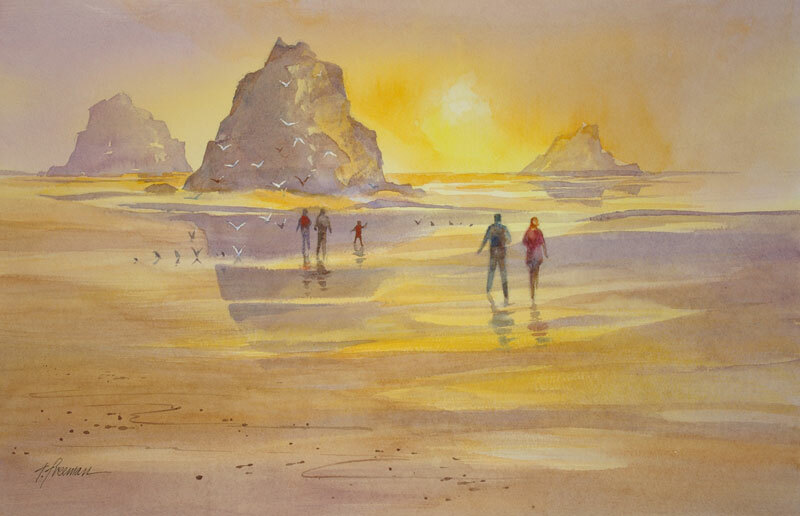 Thomas Freeman Original Watercolor Painting: "Ebb Tide"
Typical scene along California's Mendocino Coast. As the tide goes out, the birds come in – along with people who enjoy walking barefoot in the wet sand. I used a balance of cool and warm colors with the sky and sand painted wet – and quickly.